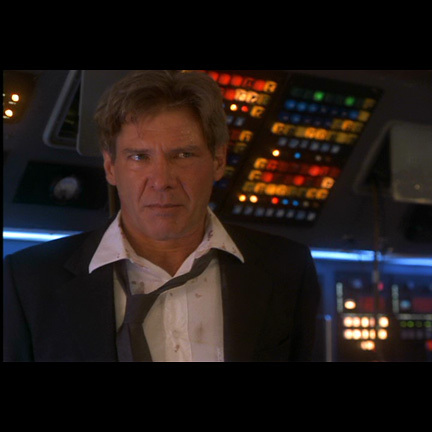 This costume was worn by the character “President James Marshall” portrayed by legendary actor Harrison Ford in the 1997 motion picture “Air Force One”. 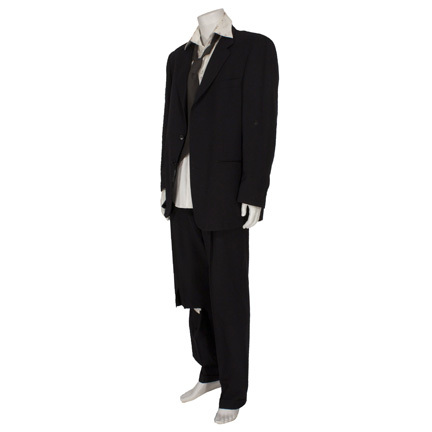 The costume consists of a custom made shirt by Anto Shirt Makers, 2 piece suit by Cerruti 1881, and a dark gray tie. 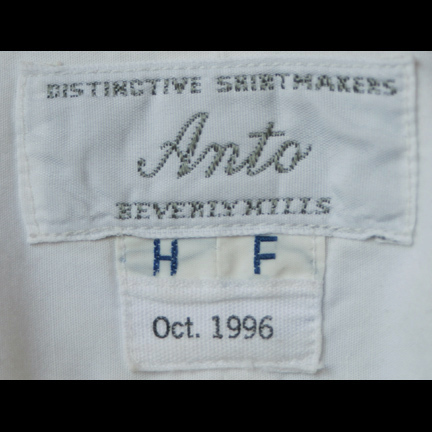 The interior of the shirt has the original tailoring label sewn inside with the actor’s initials “H.F.” and “Oct. 1996”. 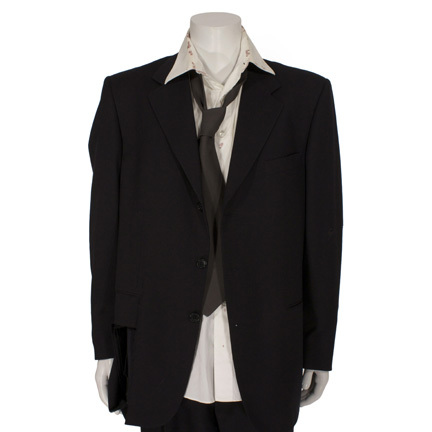 This was Mr. Ford’s signature costume worn in multiple scenes throughout the film, and the garments were hand distressed by costumers to ensure continuity after their use in the extensive action and fight sequences. 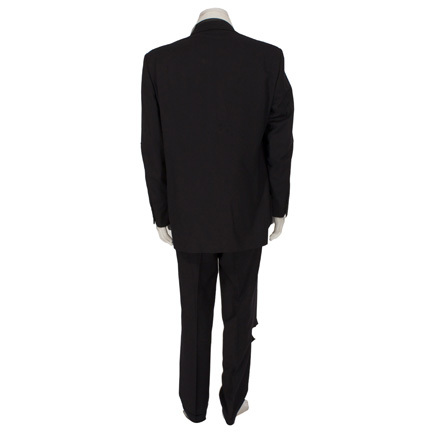 The right pocket of the coat is torn, and two holes were made in the right elbow to simulate a gun shot wound. 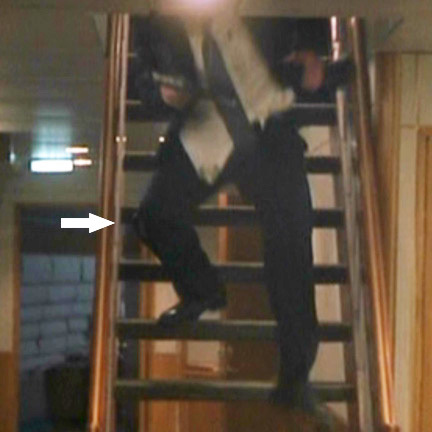 The pants are torn on the right knee, and the shirt has fake blood applied on the chest. 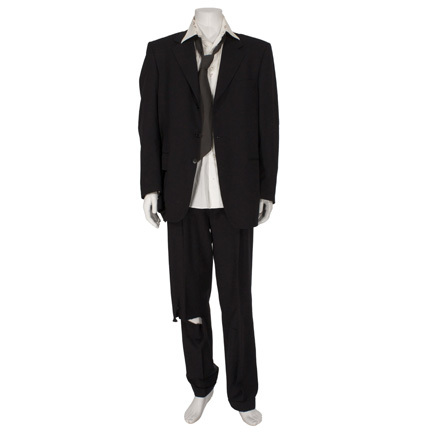 The outfit is in distressed condition as seen in the latter half of the film and is accompanied by a letter of authenticity from the costume house. 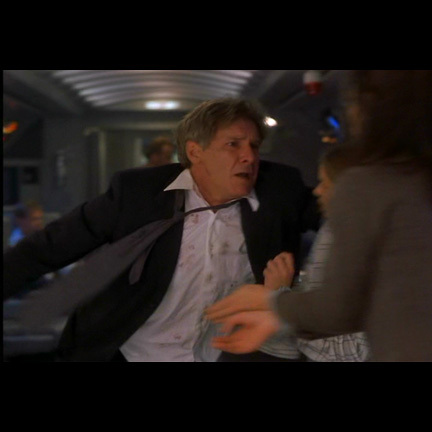 “Air Force One” was nominated for two Academy Awards in 1998 and Harrison Ford was nominated for a Blockbuster Entertainment Award for Favorite Actor in 1999 after the film was released on video. 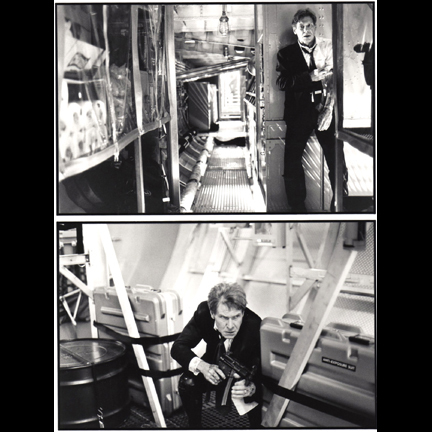 Presented by The Golden Closet, your premier source for ionic screen used wardrobe, props, and music entertainment memorabilia.